You may not want to get sand in your laptop taking it to the beach, but this summer’s the best time to buy and read my two Chiron e-books Chiron and Wholeness: A Primer and Poems to Heal the Healer: The 12 Chiron Signs. Whether you print them out for the shore or read them on-screen on your deck, you can purchase them as a pair between July 1 and Labor Day for only $9.99. That’s nearly a $4 savings compared to purchasing them individually. Free Poetry Reading. Come September, I’ll be offering a free conference call “poetry reading” of Poems to Heal the Healer with discussion of the 12 Chiron signs, starting with the poems. The poems synthesize the key issues of each natal placement of Chiron. Reading both of these books beforehand will enhance your participation in what I hope will be a lively discussion. Tentative dates are September 18 or 19. I’ll confirm in a subsequent post closer to the event. $25 Off Consultations! Now for the best summer "reading" special of all. 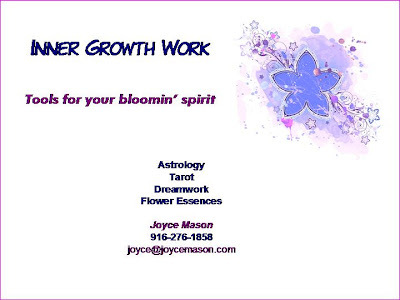 All readings/personal consultations will be $25 off when you mention this post, if booked and paid by Labor Day. This is another Radical Readings Return special, and I hope many of you will take advantage of the savings. Meanwhile, Happy Summer. Are you playing yet? Reading “The Radical Virgo” Just Got E-asier! Please note in the sidebar that you can now receive updates to The Radical Virgo by e-mail. Insert your address, click, and you’re on the list. Look at this image! The most obvious reason I fell in love with it never occurred to me till a year later. These children form a human zodiac circle. They are the literal circle of life the zodiac represents. More importantly, you’ll want to know the story behind this show-stopping image. 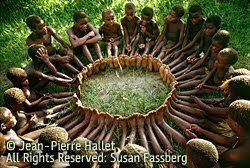 The Osani Circle Game begins with Pygmy kids sitting in a circle, feet touching, all connected. 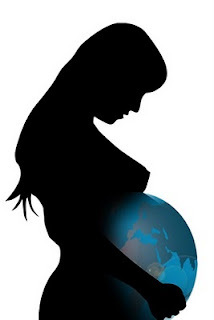 Each child in turn names a round object: the sun (oi), the moon (tib), an eye (ue)—and then goes on to name a figurative expression of “round”—the circle of the family, togetherness or the cycle of the moon. As players fail to come up with a term that is “circular” they drop out. Eventually, only one remains. Tradition has it that this player will live a long and prosperous life. Osani is the Pygmy word for love. This image is a visual offering for a most positive expression of the current Jupiter/Uranus conjunction—a game of friendship that teaches the blessings of community. According to the Circle Game, one lucky kid out of the entire human zodiac in this photo lives long and prospers, to quote another kind of Star Trek. (We’re lucky in real life that Jupiter touches more than one of us at a time.) I thought the Radical Readers would enjoy this, along with the interview of Susan Fassberg, who licensed this image to share with the world. Read about Susan on my other blog, Hot Flashbacks/Cool Insights, in ConnectingDotz: Seeing and Feeling Our Interconnectedness. If you “see stars” in other images along the path of life, contact me and let’s share them with the Radical Virgo community. Photo Credit: © 2004 J-P.Hallet, licensed to S. Fassberg. All Rights Reserved. Used by permission. Visit ConnectingDotz cards and prints; all Osani purchases help support The Pygmy Fund. The Chiron myth suggests that astrological Chiron has influence over many areas of life—and much more than a chosen profession. Chiron is that force inside you that hones a multitude of skills to prepare you to perform, for the rest of society, that special thing that only you can do. Your unique skills and style of delivery are needed in a certain time/space continuum. One aspect of Chiron insists that you do what you love or suffer an incurable longing for lack of doing it. Most of us have had experience with this pain. I began to realize it the first time I heard the term “wage slave.” For most of my 31-year civil service career, I really wanted to do something else. The lure of a steady paycheck and the kind of benefits you no longer even hear of—these things kept my nose to the grindstone for the long haul. For my spirit to survive, however, I had to do what I loved—on top of it. 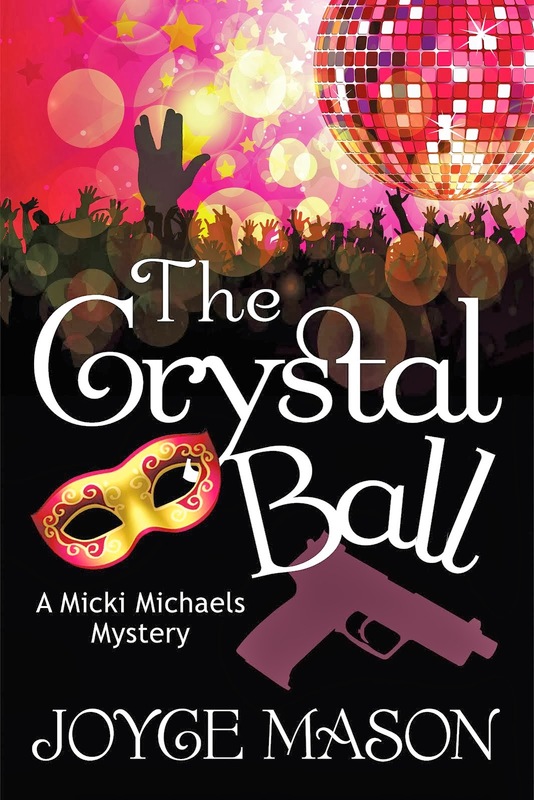 I multi-tasked and spent many of those years doing at least two jobs, working as an astrologer and writer on the side. Those of a certain age will understand my metaphor: I was a one-woman Ed Sullivan Show, riding my unicycle and spinning plates on long rods with both hands, while balancing a ball on the end of my nose. Eventually, once I added marriage and the weight of a number of personal losses to my spinning plates, I needed to let go of my side jobs and take a time-out for the sake of my health and well-being. I continued to suffer for not having the financial moxie or risk-taking capacity to make the full leap into doing what I loved. The concept behind book title, “Do What You Love and the Money Will Follow” became a bitter cliché. (Sure, in how many years while I starve in the meantime?) For me, the more right-on title would be the title of this article, do what you love and wholeness will follow. In a perfect world, this would have never happened to me—or you. We would have had a Chiron who assessed our talents, skills and gifts, as mythical Chiron did with his heroes in the making on Mt. Pelion. He would then proceed to give us whatever training we needed to actualize ourselves. There would never have been a moment of putting a round peg into a square hole or a writer into the cubicle/box of a government analyst. We would have been honed from adolescence to be our best selves and to contribute our unique gifts. We would have been fed, clothed, and housed equally, no matter what role we would play once we matured. I’m not sure to whom in society I’d assign this Chironic role in a modern context. It’s probably too “Native American” for most high school guidance counselors, but whoever is the shaman or wise one in a kid’s life—that’s a good place to start. It has more to do with how they see themselves, their heart (what they love) and their unique perspective on living. It probably has little to do with college entrance exam scores. Here’s to a day when making money and making a difference in our own inimitable way are easily one. I talk often about how the Chironic wound contains all the gifts we’ll ever need to be fulfilled. In addition to whatever else it holds, our natal Chiron sets up a series of theme-related pains and projects to keep honing the gift of the rare gem inside us that is our authentic self. Whether or not we want to admit it, we sometimes choose the pain. Something inside us knows we need its gifts. My utopian, “every kid has his Chiron” fantasy, is not how it works for many, if not most people. My biggest regret: That I didn’t do whatever it took to start my adult life as a writer instead of having to beg scraps of my own time to become one by the slow boat of work on the side, decade after decade. Now I’m retired from my government job, and it’s all coming together for me. I feel like myself for the first time in my life. Bringing the disparate parts of a person back together sounds remarkably like the shaman’s role that many people so clearly see mythical Chiron playing. There were things I learned being a social worker, a government analyst, and all the other roles I played—things I needed to have for wholeness. 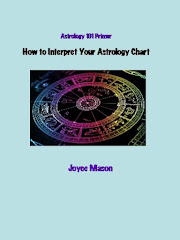 I needed those jobs to have the content, depth, and experience to write and “read” astrology charts in a soulful way. I’m old enough to have gone through my midlife transits, Chiron Return and many of the major astrological initiations, including my second Saturn Return. At times along the way, I got glimmers that Do What You Love Deprivation might actually be a curriculum that ultimately ends in becoming the hero of your own life—and heroic in contributing your special something to the world. What you need for yourself is exactly what others need from you. Before we get there, each of us is a shaman being torn apart, sometimes by competing realities like making a living and living our true vocation. Before we’re put back together again, in the underworld, it feels like hell—because it is. Being pulled apart that way is akin to being drawn and quartered. When you’re on your own Chironic journey, looking to find truth, examine what makes you angry. One of the things I cannot abide from my Catholic roots is how, as a kid, people in my home religion talked about priests and nuns getting “a vocation” or the calling to religious life. The word vocation is used only in this context, as if the only calling on earth were the seminary or joining a religious order. Ire rising cued me into how important vocation really is to everyone. No one has a copyright on vocation. It’s as essential to fulfillment as breathing. Most of us need more vacations, but we cannot fulfill ourselves without one good vocation. Summer Solstice may seem an odd time to write about vocation, but it’s actually perfect. Vocation is something you enjoy doing so much, it feels like play. While you’re out having fun this summer, you might just stumble over your vocation. If you doubt you’ve found your true vocation, ask yourself from a totally centered place, to fill in the blank: “I am a _____.” My answer has been writer since before I knew the question. Vocation does not necessarily equate to job. Your vocation could be mother, friend, confidant, or life of the party. I am lucky that despite all my side roads to “make a living,” I still stayed on course with my essential vocation. I used those side trips to hone my craft. I wrote extensively in every job. Chiron tells you something about your vocation, and you begin to become whole when you live and breathe that essential part of yourself. You need it, and your tribe (society) needs it. It’s your calling. 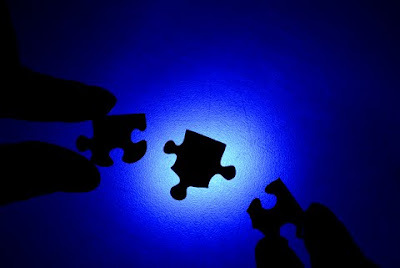 How Will I Come Together? This think piece offers no simple answers, only an opportunity to explore deeply one area of Chiron’s influence. If you’re looking for that Chironic skeleton key to unlock the secrets of your own vocation, remember to look at the path of least resistance when you explore your aspects to Chiron. If you have a trine or sextile or another easy-flow aspect, take a look at what it might have to tell you about getting to vocational wholeness. We are so used to doing things the hard way; we sometimes forget that there are hints in our charts for shortcuts, too. When Chiron was relieved of his immortality and suffering for an act of self-sacrifice, he was raised to the heavens in a constellation—a group of stars. Helping others and finding our place in a group is the world put right. It’s the happy ending we all crave. There’s no more important fit than how we fit in. Lastly, when contemplating Chiron’s message and your vocational path, don’t forget those things you said as a kid that you wanted to be—or do—when you grew up. Mine are embarrassing to write down, but here they are. I wanted to save the world (I actually said that out loud as a college freshman! ), and I wanted to make people happy. 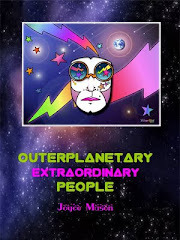 As a writer, I have the capacity to do both of those things in my own way as I twinkle my distinctive light in the constellation of my community, now as big as the planet, thanks to the Internet. You’re grown up now, too. You have the same capacity share those visions of who you are and what you have to offer. They were conceived from your childhood innocence, the home of great truths. And it doesn’t matter whether your vocation is butcher, baker or astrology maker. Thanks to Zane Stein for first publication of this article on his wonderful website, Chiron and Friends. If you’re interested in Chiron and the centaurs, bookmark Zane’s site and visit often. Terra Wolfe has written the best synthesis of the Cardinal T-Square and other Big Change Transits at the Summer Solstice on her new blog. The article is called Cardinals at the Eclipse--and a Comet! Need a Summer Solstice Ritual? Read Astrologize! Jump Over the Solstice Flame in a Spirited Dance of Life. For some tips on the psycho-spiritual aspects of summer and natural wellness suggestions for the season, check out Summer: The Growing Season. It’s time for Writer Joyce Mason, aka: The Radical Virgo, to become a reader again. 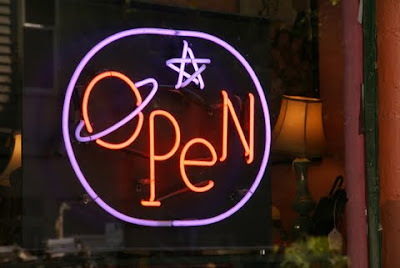 I’m putting my shingle back above my virtual door and the Open sign in my “Windows.” As noted in the sidebar, I’ve been taking appointments for a few astrological readings per month, as my writing schedule allows. This post is to say the experiment in re-entry has worked. I’m back—and it’s official! One of my current life lessons is Things Don’t Have to Be All or Nothing. I missed the deeper one-on-one connections I had with individuals through consulting. I put a toe back into the Aquarian waters over the past six months, and the water is more than fine. I’m enjoying this work at a new and exciting level! Since I write an astrology blog, it’s good to have the pulse on how the current sky is working for the real people living under it—in practice, not just in theory. At first, I was going to limit my reopened practice to astrology readings. Inner guidance nudged otherwise. My astrology-plus practice worked well in the past. It wasn’t broken, and I don’t want to fix it! (What was a bit broken was yours truly—from overwork. A seven-year sabbatical from readings and retirement from my day job has glued me back together.) In addition to astrology, I’ll continue to offer tarot, dreamwork, and flower essences. My hint to keep Inner Growth Work intact, with its eclectic toolbox, came from the fact that I suddenly found myself writing posts about astrology and dreamwork, astrology and tarot, etc. I’ve been experimenting with a new way of doing readings by e-mail. The test runs on this method have worked beyond my expectations! Clients report they are quite happy with a 3-4 page personalized report, attached as a PDF document. Phone readings can be arranged, if preferred. The description of these new services and fees are available on my Personal Consultations page on my website. Since there are several different services available, it’s easiest to e-mail me and discuss what you’d like to do—then I can send you a payment request via PayPal for whatever service(s) we agree on. You may also pre-pay by check or money order. My brochure, service menu and pricing structure are all available on the link in this paragraph. If you have any questions after reading the Consultations page—or in general about what I do and how I do it, don’t hesitate to contact me. 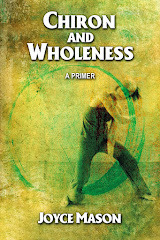 As a Radical Return Special, readers who schedule and pre-pay for personal consultations by June 30 will receive free copies of both my e-books as a grand reopening gift—Chiron and Wholeness—a Primer and Poems to Heal the Healer: The 12 Chiron Signs. If you already own one or both of the books, we can discuss an alternative token of my thanks, one on one. I look forward to working with many of you in the future. Thank you for your support, as always! Congrats to Lana, winner of the Name the New Species Contest on my Evolution post of March 30. Her clever entry was Homo Astrolopithecus. (Those who claim to come from a long line of astrologers now know where it all started!) 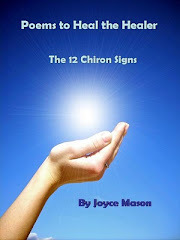 Lana won a copy of my new e-book, Poems to Heal the Healer: The 12 Chiron Signs. If you haven’t yet visited her fantastic blog linked to her name—or if you haven’t visited lately--give yourself a treat! LIBRA: You'll never find peace of mind until you listen to your heart. ~ George Michael, "Kissing A Fool"
Crave more Quotes for the Signs? 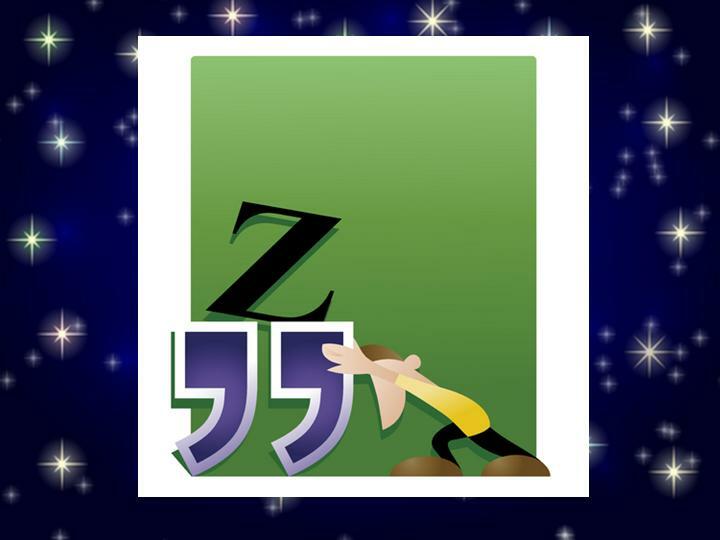 To pull up all the Quotes links at once, enter quotes into the Search This Blog window. Astrology is mental. Understanding the relationships between planets and their meanings sometimes requires Olympic-class gymnastics of the mind. The personal growth challenges in your astrology chart, on the other hand, are usually emotional. That part’s not a head trip whatsoever, especially when it comes to thorny natal issues or challenging transits. Social work was my first occupation, so I’m used to matching problems with resources. I discovered one of the most useful tools ever in pairing astrology with flower essences. Flower essences offer something you can do to help yourself through the emotional turmoil of tough transits or natal challenges because they transform emotions. You got a taste in an earlier post of how flower essences can help some of the tougher transits: Flower Essences for Pluto and Resilience: “Don’t Worry, Be Happy.” To give you even more a flavor of their potential, let’s look at how flower remedies match issues reflected by planetary energies. I’ll mention one to several essences per planet, but there are often many others. Some of the same essences work for more than one planet, so a mention under one doesn’t mean it’s exclusive. That’s a good thing because we’re influenced by all our planets at once. We’d need the whole flower pharmacy if there weren’t some overlap! For an easier read, information on manufacturers and where to purchase essences will be covered in a separate section. Sun ~ This one’s literal! The consummate essence for Sun issues (father, ego, self-esteem) is Sunflower. If you have stressful natal aspects or transits to the Sun, this essence helps balance extremes of poor self-worth to an inflated ego. Whether you’re a man or a woman, when life calls for your male energy to be out there in a warm, soulful, positive and charismatic way, think Sunflower. Moon ~ Got mom trouble? Natal mother issues? Get Mariposa Lily. Often called mother love in a bottle, Mariposa Lily soothes lunar issues connected to your relationship with mother or your primary nurturer and your need to feel loved. It’s a balm whenever your transits leave you wanting a hug or wishing you could crawl back into the womb. Mercury ~ There are many communications and thinking essences. Madia is for focus, when you really need to concentrate on a project or study for an exam. Dill helps people who are overwhelmed by so much going or so much on their plates; they can’t digest it all mentally and are left stunned, scattered, and overwhelmed. Trumpet Vine is for someone having a hard time speaking up. This essence helps you “trumpet” your voice out to the world. Cerato helps you speak your truth. Venus ~ As you’d expect, with the multiplicity of challenges in relationships, there are many flower essences that help—and wouldn’t Venus herself have an affinity to flowers? Holly helps you let go of jealousy and envy in a relationship. (Good for Venus/Pluto transits or natal Venus in Scorpio.) Evening Primrose helps those who have difficulty forming committed relationships due to feelings of abandonment or rejection in childhood. 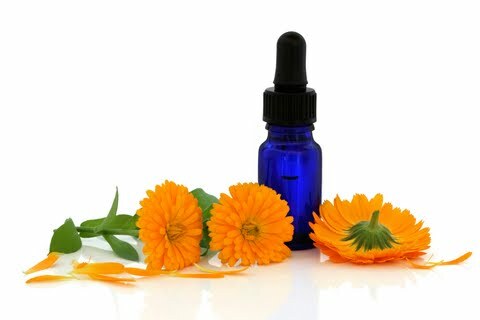 Calendula helps overcome argumentative tendencies. Bleeding Heart is another one that’s literally named. It helps you get over a broken heart, and if you’re still in relationship, it helps dissolve clinging and co-dependence. Jupiter ~ For those whose passionate idealism is overenthusiastic, overbearing, or fanatic, the antidote is Vervain. Since people with an emphasized Jupiter or numerous planets in Sagittarius are playful—here’s the essence they should give others to help them join the party: Zinnia. Zinnia brings out the playful inner child and is a great way to unleash your natal Jupiter from a party-pooper transit. Agrimony helps the Jupiterian type who drinks or uses substances to excess, to create a cheerful persona and hide his or her true feelings. Saturn ~ Elm is for feeling overburdened or overwhelmed with responsibility. It’s also good for perfectionists who need to lighten up on themselves. (It is often the “type remedy” for Capricorn Moon.) Larkspur helps the overly executive and hard-working type balance his or her leadership qualities with cheerful service instead of being overly dutiful or overly impressed with him- or herself. Oak helps someone with strong abilities accept responsibility without pushing beyond his or her limits. Chiron ~ Literal Alert! One of the key essences for this centaur is Centaury. 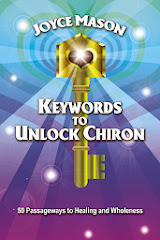 A large aspect of Chiron is giving your gifts and service. Centaury can ease a feeling of over-responsibility to the point of not taking care of yourself or when giving disintegrates to servitude. Since Chiron is also about discovering, honing, and giving back your greatest talents to society, Wild Oat is the essence of choice when you’re looking for your true vocation or meaningful work. Self-Heal is a balm for contacting your inner healer and internal forces that help you recover from life’s slings and arrows. Uranus ~ With the current Jupiter/Uranus conjunction, Star of Bethlehem could be the star of everyone’s medicine cabinet. “Beth” is for shocks or unexpected shake-ups. For the Uranian quality of “not fitting in,” take Shooting Star. (Is it just me, or are you seeing stars, too?) Shooting Star is for those who feel like they come from another planet. It promotes warm caring for all that is earthly and human. Lastly, for Uranian upsets, Rescue Remedy or Five-Flower Remedy is a must for everyone’s pocket, purse, or first-aid kit. It’s a blend to overcome the shock, fear, and worry of emergencies. Star of Bethlehem is one of its key components.